Although people ask many questions about health and diet, certain topics come up time and again in nutrition counselling. The top five involve carbohydrates, wheat, processed meat, sugar and types of fat. Learning the answers to these common questions can help improve your nutrition and overall help. No! Your brain runs only on carbs. Think of all carbs as single, double and longer chains of sugar. 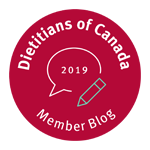 The Health and Medicine Division of the National Academies, in partnership with Health Canada, suggests the average minimum amount of carbohydrate needed for the brain of children and adults is 130 grams per day. So as an example, this amount of carbohydrate would come from eating two slices of bread, one cup of rice and several pieces of fruit. In addition to this, you also need carbs to fuel your muscles for physical activity. Adult women need about 180 to 230 grams of carbohydrate or more per day. Adult men need about 220 to 330 grams or more per day. If you do not take in enough, you may feel tired, anxious, depressed, have difficulty concentrating, or have muscle fatigue when exercising. Carbohydrate stores water in your body. It is not uncommon for low-carb dieters to lose five to 15 pounds of water weight when restricting carbohydrates. If you eat more carbs than your body needs, extra calories are stored as body fat, just like when you eat too much protein or fat. Since carbs are very enjoyable and readily available comfort foods, it is important to control portion sizes. However, don’t remove them altogether. Depriving yourself of something enjoyable makes it likely that you will likely seek it out, obsess about it, and eventually overeat. Carbohydrates are found in fruits, vegetables, grains, legumes, some dairy foods and sweets. Some claim you can skip grains and just eat vegetables and fruit. However, grains provide different types of fibre, B-vitamins and other nutrients that are not found in fruits and vegetables. Remember to sample a variety of fruit each day. If you only eat certain fruits, such as blueberries and apples, you miss out on the many nutrients found in other fruits. For the best possible health, choose a wide variety of foods. Does wheat give me a belly? Will a gluten-free diet help me to lose weight? A small number of people need to avoid gluten, the protein found in wheat, rye and barley. The first group are those with celiac disease, as gluten causes serious damage to their gut. (The Canadian Celiac Association estimates that celiac disease affects about one in 133 Canadians.) As well, about two to six percent of people have a non-celiac gluten sensitivity. These individuals may find reducing gluten will help reduce digestion issues. There is no need to remove gluten or wheat from your diet in order to lose weight. Good nutrition plays a part in a healthy approach to weight loss. Reduce the calories you take in, increase physical activity to use more calories, or both. You do not need to cut out specific foods. If you are overweight, reduce calories from foods that contain carbohydrates, protein or fat to lose the same amount of weight over the long run. Simply switching from foods that contain gluten to gluten-free foods will not reduce your weight, as you still take in the same amount of calories. If you try a low-carbohydrate diet, do not be fooled by the extra initial weight loss. This shows that you have essentially dehydrated yourself, since carbohydrates store fluid in the body. Foods that contain wheat and gluten are high in carbs. If these are eliminated but not replaced with other carbohydrate-rich foods, you will lose five or more pounds of fluid. Is processed meat safe to eat? What about red meat? Processed meat refers to meat that has been salted, cured, fermented, smoked or transformed by other processes for flavour or presentation. This includes foods like hot dogs, ham, sausages, corned beef, beef jerky and canned meat. The International Agency for Research on Cancer (IARC) recently released a report suggesting that a DAILY intake of 50 grams of processed meat can increase the risk of colorectal cancer by about 18 percent. This is the amount in one hot dog, a few slices of bacon, or two or three slices of ham. Keep in mind, an occasional deli meat sandwich or serving of processed meat is not going to be harmful. The message about reducing processed meat is meant for people who eat deli meat sandwiches every day and rely on processed meat for much of their protein. When it comes to health, think of processed meat and red meat differently. Fresh red meat does not contain the same sodium and preservatives as processed meat. As well, fresh red meat also supplies a high level of healthy nutrients. High-quality protein, iron, zinc, vitamin B12 and other B vitamins are all found in red meat. For many women, especially those at risk for low iron levels, red meat offers one of the single best sources of highly absorbed iron in the food supply. Some studies suggest a link between eating high amounts of red meat, such as beef, veal, pork or lamb, and colorectal, pancreatic and prostate cancer. However, other studies do not. If you eat a reasonable portion of lean beef or pork a handful of times a week, the message to reduce red meat is not targeted to you. (The recommended portion of meat is about the size of the palm of your hand.) However, If you may eat red meat every day, especially meat that is heavily marbled with fat instead of leaner cuts. it is recommended you cut down. If you may have portion distortion, eating monstrous-sized steaks and large portions of other red meat, reducing your portion sizes would also be a good idea. In these cases, it is a good idea to cut down. Health guidelines now suggest reducing added sugar. This includes glucose, fructose and sucrose (table sugar), as well as sugars naturally present in honey, syrups, fruit juices and fruit concentrates. Added sugar is found in foods like pop, cake, cookies, chocolate bars, frozen desserts, and granola bars. However, this does not mean that you should reduce the natural sugar from foods like fruits, vegetables, milk and yogurt. As when you eat too much of anything, indulging in added sugar can increase the total calories of your diet and increase the risk of obesity. It can also cause tooth decay in adults and children. What’s more, too much added sugar can take the place of other foods that are rich in nutrients like vitamins, minerals and fibre that are needed for good health. Growing research suggests that high amounts of sugar can increase triglycerides. Triglycerides are a blood fat similar to cholesterol that can increase the risk of heart disease. The World Health Organization (WHO) recommends that added sugars should make up less than 10 percent of your total calories per day. Reducing that amount to less than five percent of your total calories has further benefits, mainly for dental health. For instance, perhaps you take in 2000 calories each day. Ten percent of those total calories (energy) would equal about 50 grams (12 teaspoons) of added sugar. Just one can of pop has about 40 grams of added sugar (10 teaspoons). No one food or nutrient contributes to obesity, disease and health issues. There are no bad foods, just bad overall diets. You do not need to go sugar-free. Simply consider the amount of high added-sugar foods such as pop, candy and dessert that you take in, and reduce the portion sizes. Which type of fat is better? In general, unsaturated fats (polyunsaturated and monounsaturated fats) found in olive oil, nuts, seeds, avocados and fish are the best for heart health. Be sure to include a moderate amount of these in your diet, as they lower LDL cholesterol (the bad kind). One type of polyunsaturated fat, known as the omega-3 fats, improves heart health by making the blood less sticky. This reduces the risk of heart attack and stroke. Omega-3 fats also lower blood pressure and blood triglyceride levels, and assist with immune and inflammatory issues. Pregnant women need them, as they help with the baby’s brain and nervous system development. The best sources of omega-3 fats are fatty fish. Other sources include ground flax seeds, walnuts and hemp seeds. Trans fats (shortening, hydrogenated vegetable oils) are found in some margarines and some packaged foods like cookies, cakes, frozen meals, deep fried foods, and fast foods. The food label can help you to determine how much trans fats are in a particular food. Aim to reduce or even eliminate trans fats from your diet. Not only do they increase the ‘bad’ LDL-cholesterol, they also reduce the ‘good’ HDL-cholesterol in the body. Trans fats also inflame blood vessels, which increases the risk of other chronic conditions. Remember, there are no bad foods, only bad overall diets. By enjoying foods in moderation as part of a varied and balanced diet, you can protect your health and feel your best. Andrea Holwegner is the Nutrition Editor for the bi-annual Family Health Magazine, a publication endorsed by the College of Family Physicians of Canada and the Alberta College of Family Physicians. 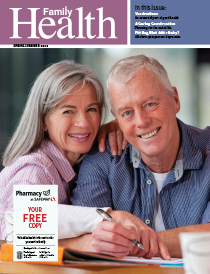 You can find this magazine in all Safeway Pharmacies, your family physicians, offices and hospitals. 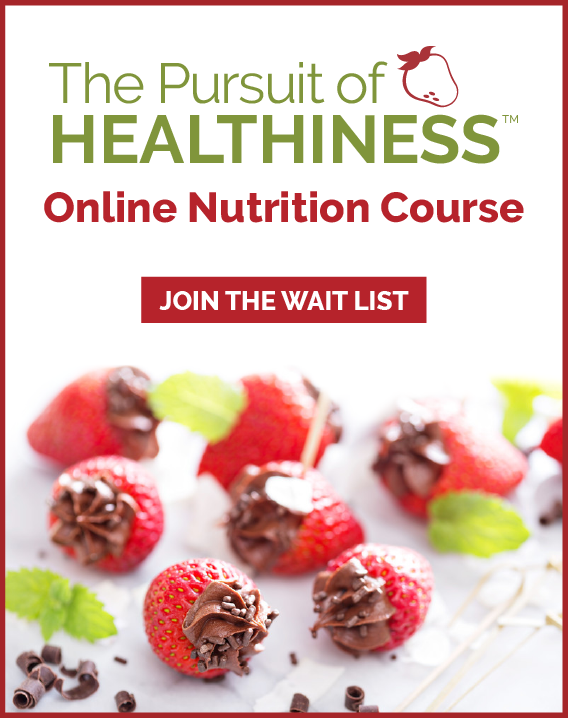 Great article Andrea: there are so many “facts” out there, thank you for delivering some clarity to the conflicting nutrition information we read! Yesterday at the store I was trying to buy granola and the ONLY granola on the shelf was ALL marked ‘gluten-free’! 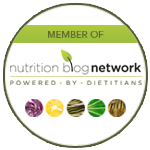 A Note from Andrea: Just say no to carb-free nonsense!